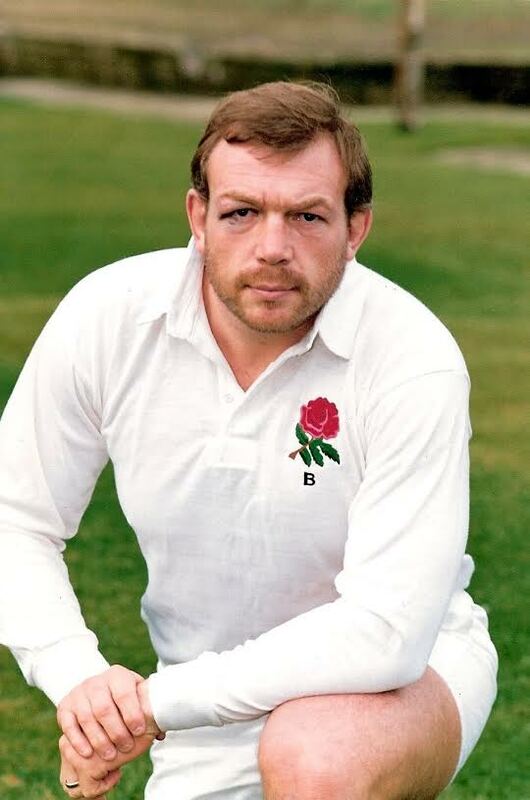 Richard Pascall aka “Pasc” was a powerful and mobile tight-head prop who, weighing in at 17 stone and 6’ 2”, was a formidable presence in club rugby in the 1980s, making 257 appearances for Gloucester. He propped alongside Malcolm Preedy in the 1990 Pilkington Cup Final, played for South West Division against the 1988-89 Australians and won an England B cap against France in the same season. He made twelve appearances for the South West in the Inter-Divisional Championship. Born in Greenford, Middlesex in January 1958, Pasc learnt his rugby at Upton Manor Secondary School, Gillingham. When his family moved to South London, he joined Beckenham RFC at the age of sixteen. A year later, while playing for Beckenham, he made his County Championship debut for Kent and went on to tour America and the Far East with the county. Then, after leaving school and working for a year at the local hospital, he enrolled at St Paul’s College, Cheltenham to train as a PE teacher. While at St Paul’s he played for British Colleges and for English Students against Japan. He was in the St Paul’s College team that won the British Colleges Cup in 1978, beating Jorden Hill College in the final at Wilmslow. After college, Pasc took a teaching post in Northamptonshire and joined Bedford RFC, who were a leading club at that time, having won the National Club knockout Cup three years earlier when they beat Rosslyn Park 28-12 in the final. While with Bedford, he was chosen as a replacement for London Counties and played against Gloucester both at Goldington Road and Kingsholm during the two years that he spent with the Blues. In 1981, he left Bedford to take a job in Cheltenham, running the sports activities of the local YMCA and joining Gloucester RFC. Despite his playing record, it was hard to break into the side at first. He made his 1st XV debut against Lydney on 7 September 1982 and played regularly that season, but the return of Phil Blakeway limited his appearances in 1983-84. Finally establishing his place in 1984, he became a fixture at tight-head for the next seven seasons. Richard Pascall became an integral member of a powerful Gloucester team which were consistently challenging for honours during the 1980s in both cup and merit table. While other clubs adopted a defensive approach to the introduction of the John Courage League in 1987, Gloucester, under Marcus Hannaford, opted to expand their game – to the delight of their supporters. 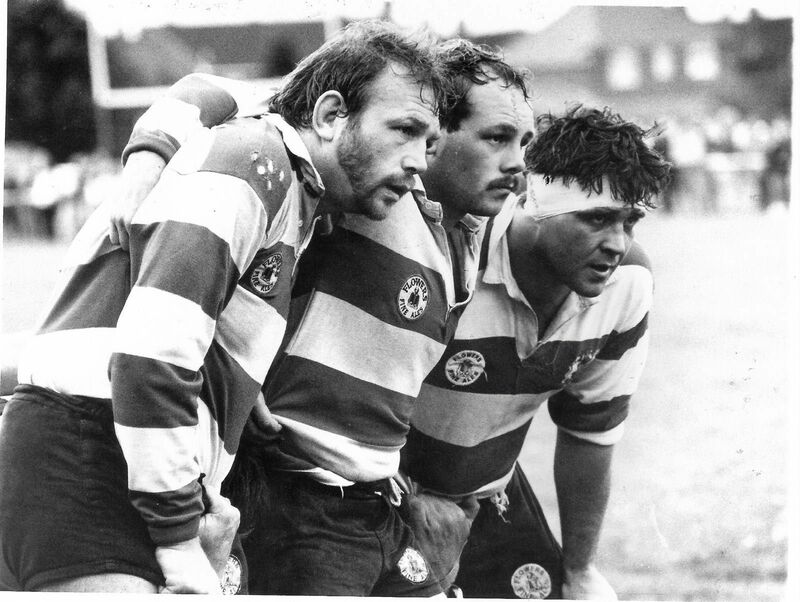 The front row of Pascall, Dunn and Preedy were an outstanding combination in a pack which dominated in the tight, but the club were also starting to play fluent attacking rugby in which the mobile Pascall played his part. Recognition eventually came and from 1987-89 Pasc was an ever-present in the South West team which played in the Inter-Divisional Championship, playing more games for the division than any other Gloucester player. He also played for the South West against Leinster. Full international honours remained tantalisingly out of reach, although he was chosen as a non-travelling reserve for the 1988 England summer tour of Australia. Then in October the entire Gloucester front row of Pascall, Dunn and Preedy appeared for the South West side that beat the touring Australians 26-10 at Bristol, despite the availability of Graham Dawe and Gareth Chilcott who were on the bench. The Times headline read “Gloucester provide the cutting edge against Australians”. Later that season he made his debut for England B against France B at Leicester on 3rd March. The England pack were badly beaten by a strong French eight and this proved to be his only start in an England B shirt. Perhaps the climax of Richard Pascall’s Gloucester career was the 1989-90 season in which the club came desperately close to winning the cup and league double, falling at the last hurdle in each case. Pasc played in every league game and in the 1990 Pilkington Cup Final defeat, which was sadly the last act of a great side, soon to disband and go their separate ways. Professional rugby was approaching and a number of players were leaving Gloucester, lured away by the greater financial security offered by other clubs. Richard Pascall stayed for one more season at Kingsholm, but played his last game for Gloucester against Newport on 15 February 1991. Pasc and his close friend John Brain, who also had connections at Goldington Road, had elected to join Bedford for the rest of the season. Gloucester were safe from relegation from the first division while Bedford still needed points from their remaining three league games to ensure survival in the second and were offering a regular gratuity to the players. Richard Pascall went on to captain Bedford in the 1991-92 season before returning to Gloucestershire and finishing his playing days with Cheltenham, hanging up his boots in 1995. Since his playing career ended, Richard Pascall has coached with Stroud and has also assisted Gloucestershire as forwards coach.